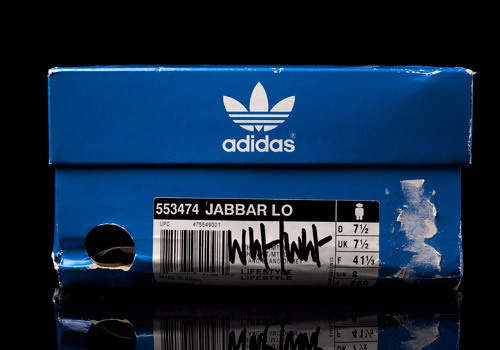 The adidas Jabbar Lo is a low cut basketball silhouette inspired by Kareem Abdul-Jabbar who played for both the Milwaukee Bucks and the Los Angeles Lakers from 1969 to 1989. 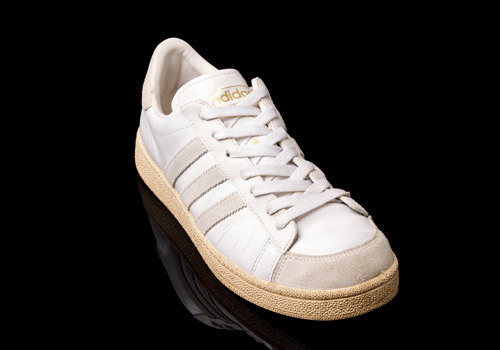 He is well-known for winning six NBA championships and being the NBA’s all-time leading scorer. 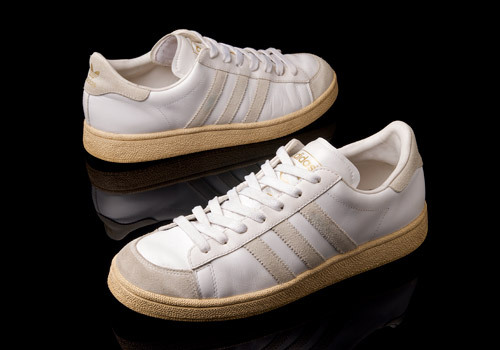 In other words he is quite a suitable athlete to have an adidas model named after him. 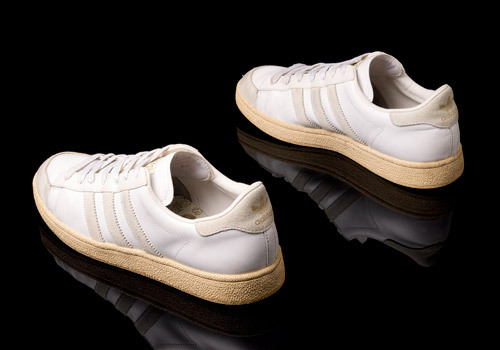 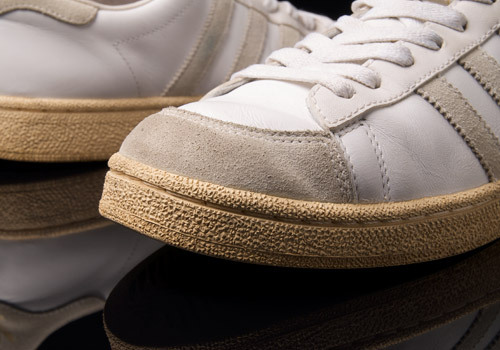 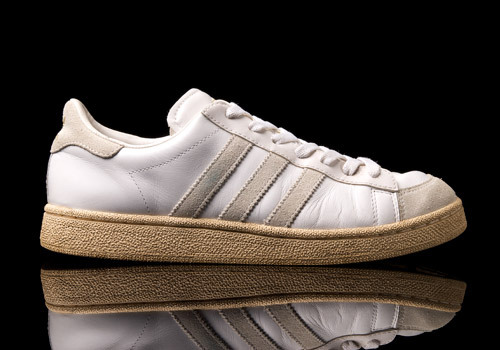 In 2004 adiads released this almost all white version of the model, built from a leather upper and given off-white suede side stripes, toe bumper, and heel patch. 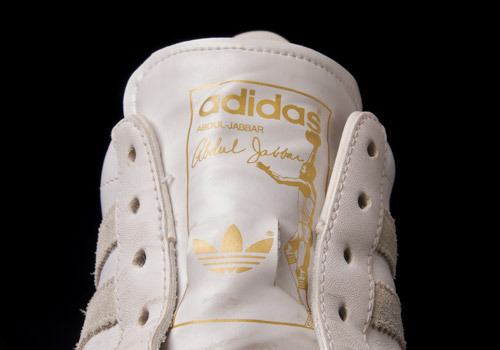 The typical adidas trefoil branding is shown on the heel and tongue, alongside a gold graphic of Kareem performing a slam dunk. 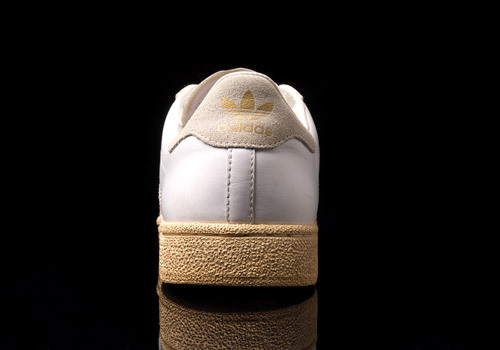 His signature and name are also present, directly underneath the adidas brand font on the tongue.